Our premium quality product. These hardwood logs are dried in our wood-fired kilns reducing the moisture content to below 18%, making them ideal for immediate use in wood-burning stoves and pizza ovens. 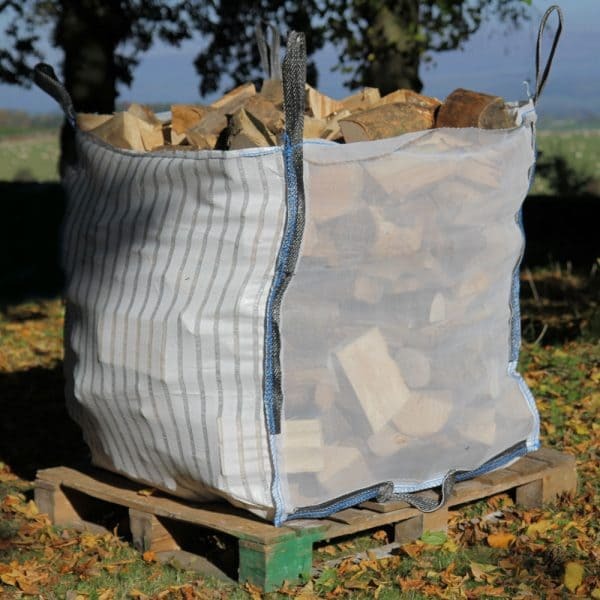 The large ventilated bags contain a mixture of native hardwoods (ash, oak, beech, sycamore and birch), which are cut to approximately 9” (25cm) lengths to fit 99% of wood-burning stoves. Delivered on a recycled, burnable pallet, which is ideal for kindling. Bag measures approximately one cubic metre.